According to this article from Quartz, the world is divided into tea cultures and cha cultures, with very few exceptions (in Burmese, tea leaves are called lakphak), depending on whether tea was brought by land or by sea. This represents two different eras of globalization, says the article. You’ll be able to see this amazing “map” at the Aichi Triennale Exhibition in Nagoya from August 11. It’s like Picasso meets Sim City. I love his daily task method: each day he picks a card and that’s what he’ll work on that day. It’s fascinating to hear him talk about working on this labor of love, a task that he admits will probably never be finished. 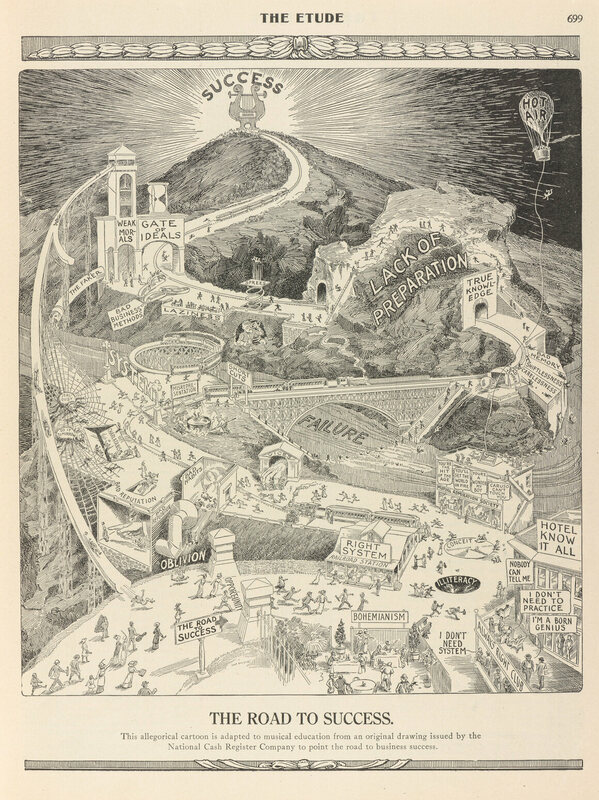 This “map” was made in 1913 to explain how to succeed in the music business. The advice is general and I think it applies to almost anything, not just music. 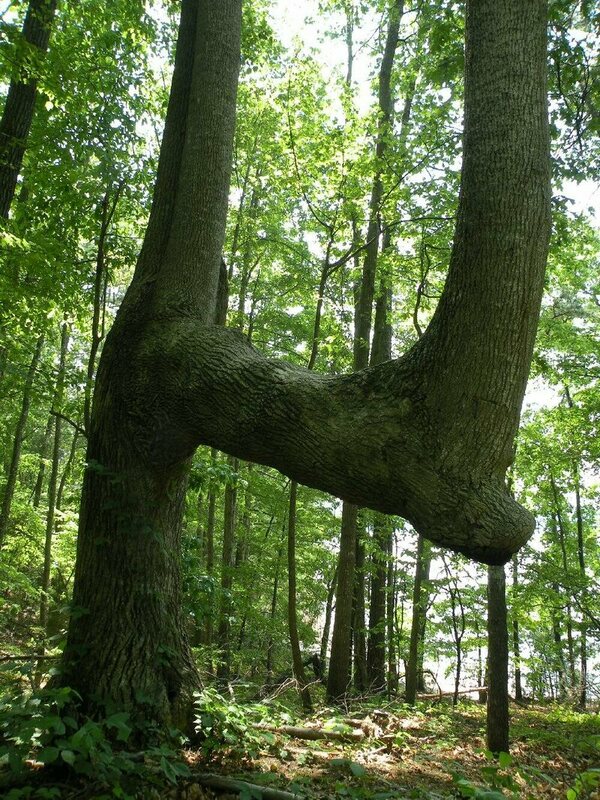 And speaking of bent trees (yesterday’s post), here’s something interesting about the Native American tradition of bending trees to mark trails. They observed how young trees were bent by nature (because of wind, ice, fallen trees) and did the same thing in order to use the bent trees as navigation markers. This story is interesting to me because of all the skeptics who still doubt that such shapes could be human-made, despite plenty of evidence that they are. Hmmm. Sounds like a lot of climate change deniers, doesn’t it?